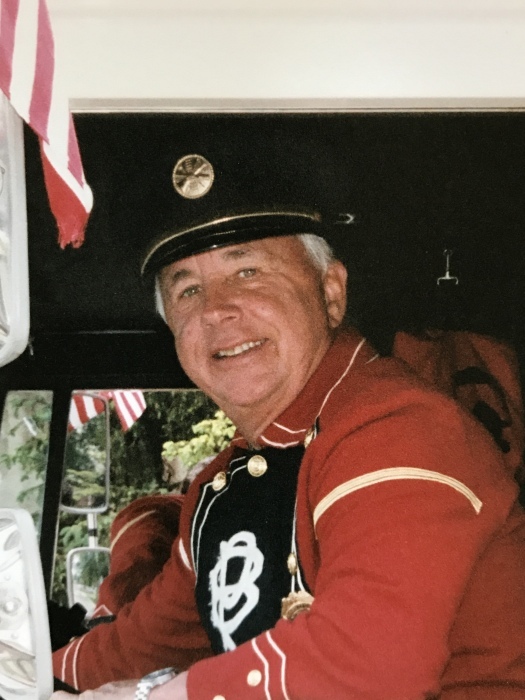 Memorial Visitation- Saturday January 26, 2019 from 11:00 a.m. - 1:00 p.m. at our Bayport Funeral Home, 683 Montauk Hwy. Chapel Service- Saturday January 26th, 2019 at 1:00 p.m. at our Bayport Funeral Home, 683 Montauk Hwy. Jack (JR) Ruehl died in his sleep after a long illness that stole his strong personality. He was a multi- facetted human being. He served in the Air force, traveling may times overseas during the Marshall Plan years. He sang in the Air Force Chorus for several years as a classical baritone. He played violin, was a great carpenter, boater, and also a small plane pilot. He leaves four children Kristin, Katie, John and Kim, and their spouses, his nine grandchildren, as well as his longtime companion, Helen Farnan. Because of the Holiday season, the memorial visitation will be on Saturday January 26, 2019 from 11:00 a.m. - 1:00 p.m with a service beginning at 1 p.m. at Raynor & D'Andrea Funeral Home, 683 Montauk Hwy. Bayport, NY 11705. A reception will follow immediately after at the Bayport Fire Department.